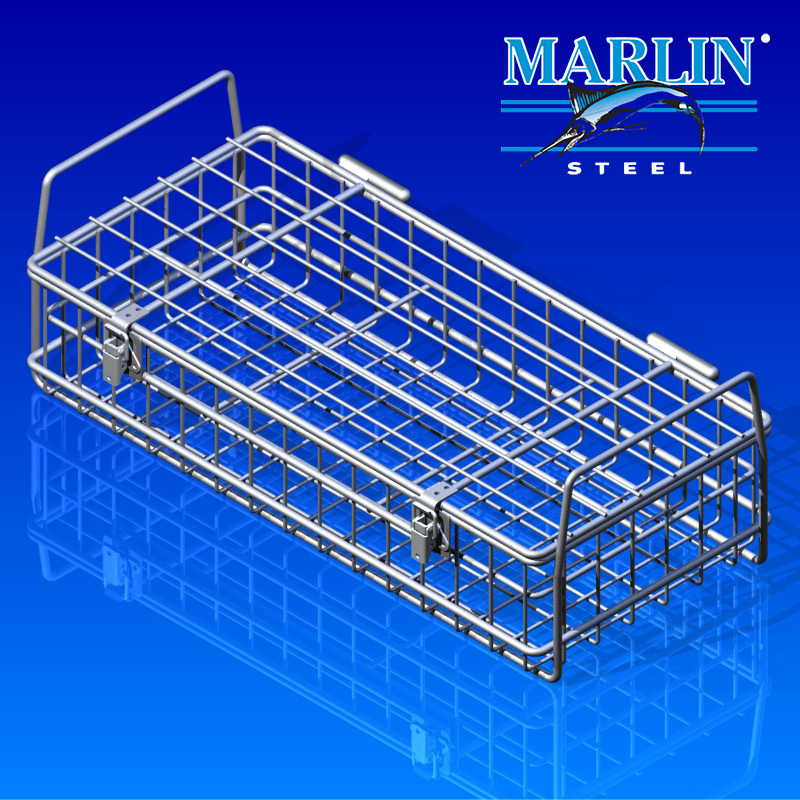 Custom manufactured from grade 304 stainless steel for maximum corrosion resistance, this basket was part of a set order with basket #837013. A hinged lid with a latch to hold parts securely through the wash process. Handles for ease of manual manipulation. Dividers made from wire bars that were permanently welded into the basket. The design of this particular basket make it ideal for hold six rectangular objects in place throughout a wash process. Because of the openness of the design, fluids and debris can drain from the parts to be washed quickly and thoroughly without getting trapped in the basket where there is a chance for it to redeposit on the parts being cleaned.